A Glass Half-Full. Of beer. I feel like all I post lately is how poorly I’m doing at sticking to a budget and my goals. This has also made me more reluctant to post. Lately I have spent a bunch of money eating out and traveling. I feel bad about it. It’s not that I haven’t been having a good time so much as that I would prefer to do these things in a plan, budgeted manner. So, I will keep working on that. In the mean time, I was frustrated because I had no food in the house. But of course, this is almost always a lie. 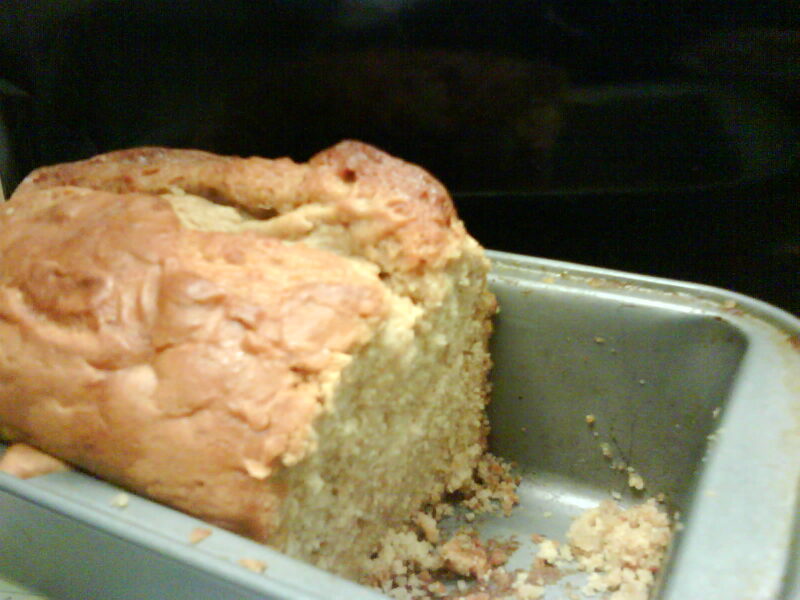 Yesterday I made beer bread, and the best part was that I made it entirely with things already in the house. And because they were all ingredients I just had around for other things, it felt like it was basically free. I also tend to forget that I like cooking and baking. It’s really nice, especially when I share with other people. That’s why I want to do this cooking rotation thing, although I have figured out the blog is not actually the best [place to figure it out. Because of the number of variables, I just need to ask people. But if you’d be interested in cooking & sharing food, let me know and we can talk and work out the details. I made this delicious beer bread. You wish you had some. In a stand mixer-with bread dough attachment- mix the flour, sugar and beer until well mixed. Or, knead it together. if you use a mixer, be sure to scrape down sides and bottom to make sure there are no flour pockets. Scoop it out into a greased loaf pan. At 30 minutes of baking, split the top of the loaf and pour half of butter on top. Bake additional 15 minutes or more. For me, it usually takes another half hour or so to be done. Pour the rest of the butter on top of the loaf. Entry filed under: food, saving. Tags: food. I am superglad you posted this because I’ve been wanting that recipe. This is the easiest bread in the whole world. Also, I like posts like this where you show how you can throw something awesome together with no (new) monies spent.